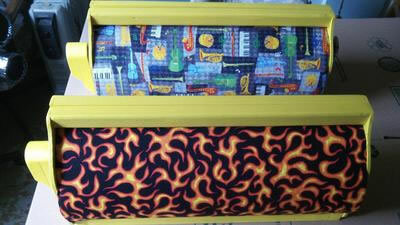 I own a Flame 2 model Gourmet Solar Oven. 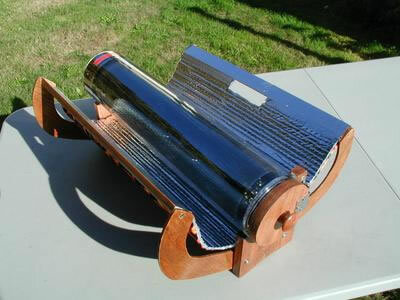 This is an evacuated tube style solar oven that works YEAR ROUND for me! I have been using mine since December of 2011 and it is still working fantastically today! I have one out right now and it's already over 275 degrees and it's only 9:00am here! This is November 13th too! The angle of the sun does not matter with one of these ovens - neither does the wind or cold affect it's operation. This time of the year if it's really windy or cold, I keep our ovens inside the greenhouse and just do our cooking there. Since it's a nice day, I take it out and put it on a table I have set outside just for my "solar kitchen". These are the only solar ovens that I know of that can be sitting on a kitchen table in the sun - and it's cooking! 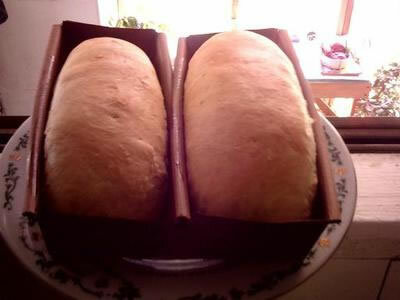 Plus, they look so beautiful sitting on the table that you hardly notice that you are cooking something on the table! 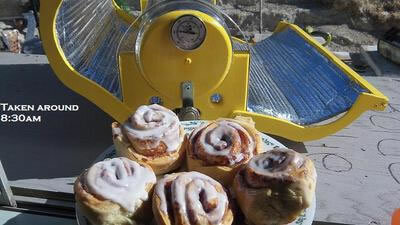 Take a look at them at GourmetSolarOvens where they have a ton of pictures of their ovens and videos of them cooking and customer comments about how they love using their own Gourmet Solar Ovens! This should be very appealing to our site visitors. I am going to have to try one of these cookers to see how they do. I have seen them for sometime, but have not yet tried one. I want one of those Dan. Where can I buy one online? This would be amazing to get my hands on. ditto cannot find these ovens and the site recommended is closed down bummer! This is baking Cinnamon rolls inside my greenhouse Thanksgiving afternoon! Enjoy your solar cooking winter! I don't know if this one is still sold online or not, but there is a similar one called the GoSun and we do carry that one here on this website. Where can I purchase this oven? Can't seem to find any of these ovens for sale online. I got mine about a year ago and use it regularly in San Francisco. It heats up and cooks a bit quicker than my other cookers, so if there's any doubt about the weather changing, I use it. I use it a lot for baking breads, cupcakes, muffins, scones - 3 mini loaf pans or 6 cupcake tins fit inside. It can easily cook food for 2+ which makes it very practical. It's easy to carry & set up too. YouTube Videos and Pork Ribs! I have been adding videos back into YouTube. If you miss cooking with the sun during winter then these are the type of ovens you want! As long as there is sun hitting you are cooking! I own 2 of these Solar Ovens! I own 2 Solar Ovens the which Dan put the cases together. They work great! I put them out first thing in the morning and 1 hr and 5 min later after first light hits them they are at 270 degrees. I have cooked Sirloin Steak, sausage and eggs, hamburger and fries. The food is more tender than a conventional oven and it cooks the food completely. I like my steak well done and it did it perfectly. I have been using my oven since April 2013. Cold does not affect it, nor does wind. The only thing that will affect it is a cloudy day. I live in Mt. Pleasant, UT and gets very cold here. Using the solar ovens is not a problem. I highly recommend these ovens! I have tried a conventional solar oven and it took 3 hours to get to 300 degrees. In the middle of the day my solar tube ovens can reach 370 degrees in 1 hr and 10 minutes. I will probably buy a third oven from Dan! Well, that is a coincidence, I grew up in Mt. Pleasant, Utah, that is my hometown and my parents and two of my brothers still live there. Mt. Pleasant is about 3.5 hours from St.George. My brothers have solar cookers, but they always claim they are too busy to use them. I don't buy it though, because I use mine all the time and I am just as busy if not more so. What is the name of the person who made the purchase of your ovens, I might possibly know him. I will be going up to Mt. Pleasant for Thanksgiving. Highest grade of tempered glass available as far as I know right now? Mine has been a lot of places and cooked a ton of food and it's still going strong! Winter cooking is superb due to it's round shape and the fact that they are already sitting on their side! Anyway - lemme know if I can answer any questions! I love this thing and am positive that it out performs any oven out right now! Especially for the price too! They are not toys and can be broken if treated with a lack of respect for the fact it's glass! But, compared to a box cooker? WOW - Huge difference! What are the tubes made of> I know tempered glass will take the high temperatures but that is expensive. I have a guy in Mount Pleasant, Utah that has two of the gourmet ovens. I am sure if you were close he would love to show them off! I will ask him - not sure how close that is to your site? I just finished 10 biscuits and a nice size piece of steak in less than an hour! Lunch is over and the oven is sitting at 440 out there right now too! I can't eat what this thing cooks in a day!